Will the Acquisition of A.J. Burnett Steer the Pirates Ship in the Right Direction? Well, it’s official, the Yankees have worked out a deal to send A.J. Burnett and $20 million in cash to the Pittsburgh Pirates in exchange for outfielder Exicardo Cayones and right-handed reliever Diego Moreno. While the move makes sense for a Yankees squad who had been carrying 7 potential starters since the January 13th acquisition of Michael Pineda and Hiroki Kuroda, does the move benefit a Pirates squad who many have already written off to be in the bottom half of the NL Central this year? When the Yankees acquired Burnett in 2009 it was to bolster a starting rotation which carried CC Sabathia as its ace, along with Andy Pettitte and Joba Chamberlain. Burnett was viewed as a potential number 2 coming off of a 2008 season where he had gone 18-10 in 35 appearances (his career best for win percentage) with an ERA of 4.07 for the Toronto Blue Jays. 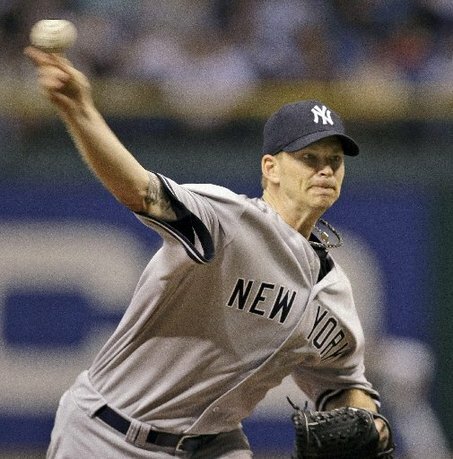 For the short-term the acquisition seemed to pay off as Burnett went 13-9 in 33 games in 2009, and carried an ERA of 4.04 (2nd best for Yankee starters behind Sabathia). However, something was about to go horribly wrong. The 2010 season marked the beginning of Burnett’s fall from grace as he posted the worst ERA of his career (5.26) as well as a sub .500 winning percentage (10-15 in 33 games), something he had not done since 2001 when he was with the Florida Marlins. 2011 proved to be a slight improvement (11-11 in 33 games with and ERA of 5.15), but obviously was not the sort of production the Yankees had expected when they signed Burnett to a 5 year $82.5 million dollar contract. Thus, a decision had to be made. With this years Yankees already sporting more starting pitchers than needed going into camp (Sabathia, Nova, Garcia, Hughes, Pineda, and Kuroda), A.J.’s failings made him expendable. So, when the Pirates failed to acquire veteran free agents Edwin Jackson and Roy Oswalt, the stage was set for talks to begin. Reportedly, the Pirates will be required to cover $13 million of the remaining $33 million due to Burnett over the next two years. So, at $6.5 million per year, is the investment worth it to a Pirates team that, ironically enough, is also overstocked with starting pitching? Earlier in the week, Pittsburgh manager Clint Hurdle, was optimistic regarding the move pointing to the likes of Javier Vasquez and Carl Pavanno as examples of players who were able to revitalize their careers by leaving New York. Some of this optimism my also be coming from the fact that PNC Park is considered by many to be more of a pitcher friendly park, especially when compared to the new Yankees Stadium. Another thing to consider is that Burnett should provide some durability to a Pirates starting rotation that struggled with durability last year. In 2011, not a single Pirates pitcher reached 175 innings. Burnett, despite having some injury issues early in his career, has provided over 180 innings of starting pitching in each of the last 4 seasons showing that he should be a reliable starter for the Pirates. So, what can fans expect from Burnett this year. I predict that he will find himself 11-10 in 33 starts with an ERA around 4.52. Will this change the Pirates standing in the NL Central race? Yes, but only slightly as it moves them up a spot past the Cubs, meaning they should finishing 4th in the Division behind Milwaukee, Cincinnati, and St. Louis. Sorry Pirates fans, this move, while beneficial, will not change your course for the season drastically enough to make you a contender. This entry was posted in News and tagged A.J. Burnett, Andy Pettitte, cc sabathia, Clint Hurdle, Diego Moreno, Exicardo Cayones, Hiroki Kuroda, Joba Chamberlain, Michael Pineda, New York Yankees, NL Central, Pittsburgh Pirates. Bookmark the permalink.